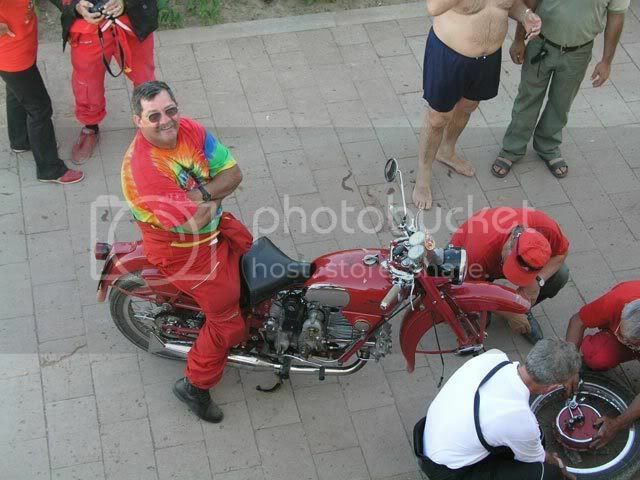 I've only just found this forum - no idea how I've missed it until now as it seems to be the most comprehensive Guzzi forum around. Thanks for adding me. Anyway, I'm based in Gloucestershire in England and I really like my old banger Guzzis. Here's a few photos taken locally. Welcome to the forum, pull up a log. 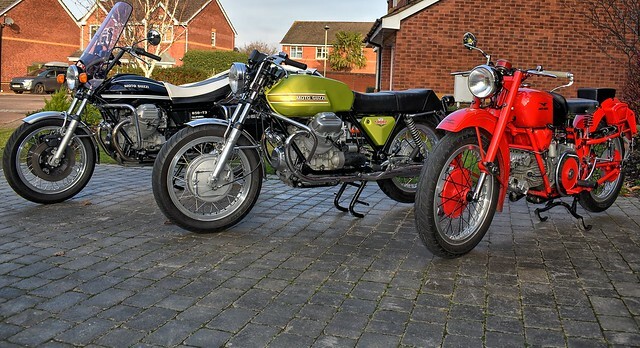 With that nice Falcone, you should also consider joining the discussion forum for 'Guzzi-Singles' (need the hyphen) over on Google Groups. Several UK members there. Let me know if you have any trouble to register. Limeys!! Did you look for the most British Scene you could find. Lovely pics. Welcome. Welcome. You have all the bases covered there Glawster (not Glou-cester, or a more Home Counties Glossta, of course). I'll take the red one thanks . Nice riding country on your doorstep. 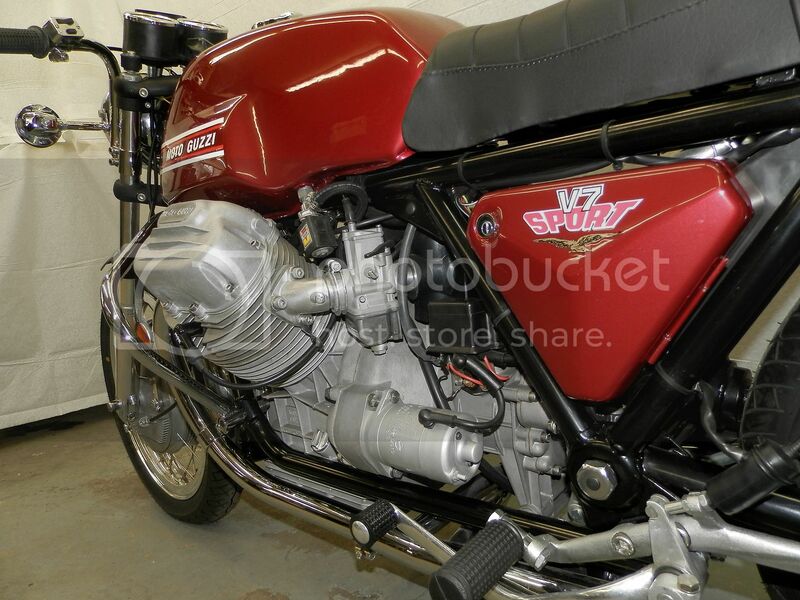 Yes, I'm on the Guzzi singles forum. I'm the guy who sent you the English translations of the Singles manuals. Is that V7 sport, the one that Paul Harris from Corsa Italiana restored ? Welcome to WG. I am going to be in the UK in a few weeks, so if you wish we can meet and I’ll buy you a pint. I'm here too! John from Ceredigion, Wales. Yes, I remember we met last year at the Steel Horse Cafe one lunchtime. Stuv65 - we're neighbours. 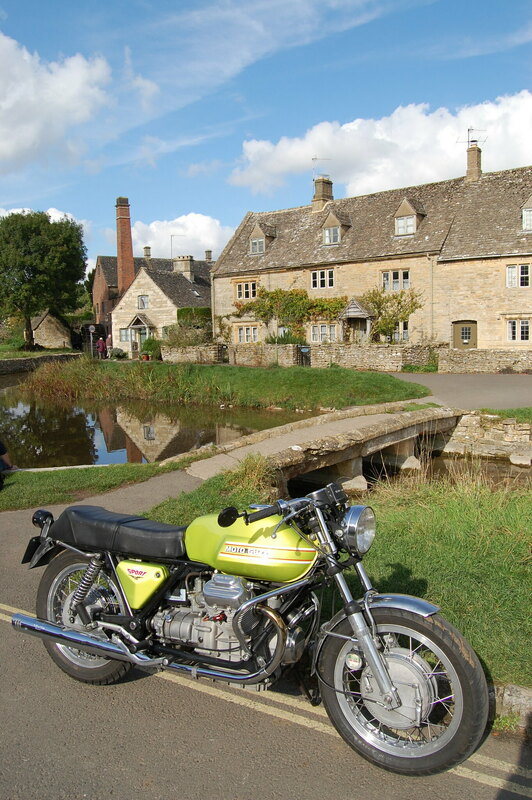 Send me a pm if you fancy meeting up to put the Guzzi world to rights.